In the ABC 2015 Boyer Lectures, one of Australia’s most influential foreign policy experts examines our country’s place in the world. For most of Australia’s history, the world was run by nations like our own. But now the international order that has prevailed since the end of the Second World War is fraying. Global institutions are showing their age. Our great and powerful friends are becoming less great and powerful. Rising powers such as China are challenging the old order. Wealth and power are shifting eastwards, towards us. The tyranny of distance is being replaced by the predicament of proximity. Award-winning historian and author Michael Fullilove argues that we must shape our international environment. This requires us to be smarter and shrewder – but also larger. Australia needs to be a big, confident, ambitious country, open to the world, with an effective political system, the instruments to influence the balance of power and the confidence to have our own head of state. 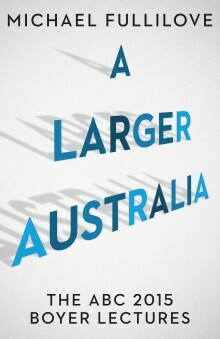 Stirring and important, A Larger Australia tells us it is time for Australians to think big.